We love La Prairie for its super-luxe skin treatments targeting lines and wrinkles, so we were excited to learn that the beauty company has launched a trio of products to effectively attack slackness and discoloration of the skin. Harnessing the legendary firming benefits of caviar, the White Caviar Illuminating Système is a three-part system that lightens, tightens and firms while preventing future age spots and pigmentation patches. White Caviar Illuminating Cream drenches the skin with moisture as it provides lifting and firming benefits. Pearlescent powders in the cream give immediate illumination, while a complex of brightening ingredients works to control age spots and discoloration on the skin’s surface. Continued use promotes brighter, younger-looking skin as dark spots are prevented, and the skin is firmed and protected from environmental damage. White Caviar Illuminating Serum interrupts the cycle that creates age spots, stopping discoloration before it begins. As existing spots fade, firmness, hydration and anti-oxidant protection are increased. This lightweight fluid may be added under any moisturizer to help prevent future discoloration and keep the skin looking its best. White Caviar Illuminating Eye Serum is a high-performing antidote to under-eye darkness. It causes the skin in this area to appear lighter and brighter for a more wide-awake and energized look. In addition, puffiness is reduced and the skin is lifted, firmed and smoothed with wrinkle-reducers. This formula adds power to any eye cream worn over it, increasing hydration and protection benefits. 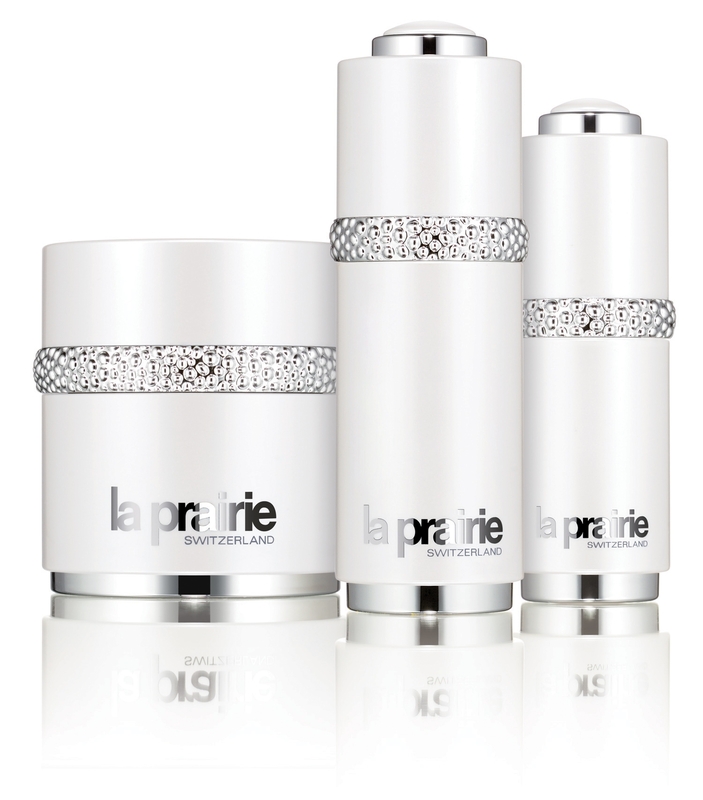 Typical of products from La Prairie, this system combines premium ingredients with serious science, so expect serious price tags to match. White Caviar Illuminating Cream retails at $450/ 1.7 oz. ; White Caviar Illuminating Serum at $450/ 1.0 oz. ; and White Caviar Illuminating Eye Serum at $250/0.5 oz. As a luxurious touch, the White Caviar Illuminating Système is housed in substantial white pearlescent jars with silver caviar beads around the cap.